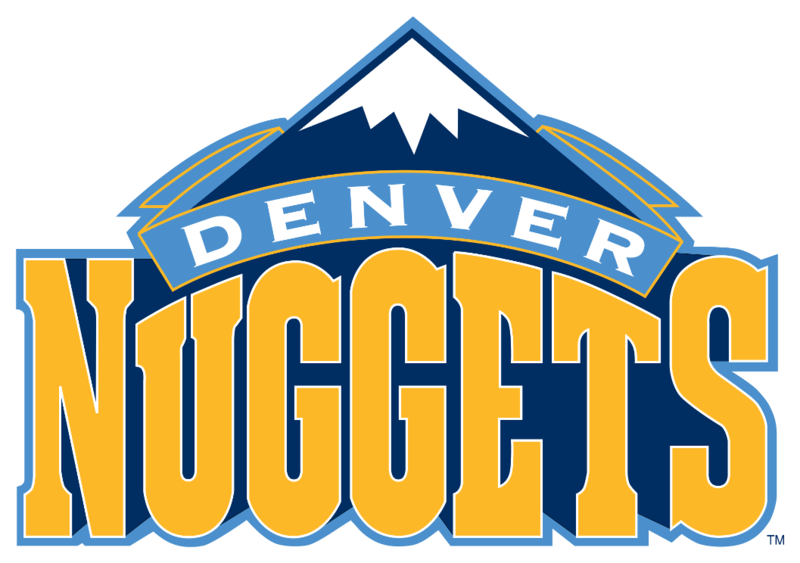 Larks, Rockets, and now the Nuggets are the names by which the NBA’s professional team in Denver has been known. The Nuggets briefly began their existence as the Denver Larks. They then changed ownership and names to the Houston Rockets. The Nuggets originally played in the American Basketball Association (ABA) before they merged into the NBA. For most of their time in the ABA, they were known as the Rockets. The problem arose when they began to make preparations to merge into the NBA because the NBA’s team in Houston already used the name the Rockets. 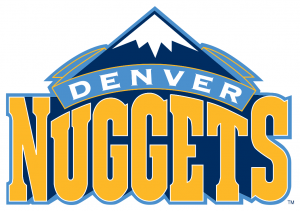 This led Denver to change their name to the Nuggets two seasons before merging into the NBA. The last few years in the ABA and the first few years in the NBA were some of the most successful years for the franchise. In 1976, the last season before the ABA and NBA merged, the Nuggets made it to the ABA championship series. This is their only time in a championship series as they have never made it to the NBA Finals. The Nuggets lost in the ABA Finals to the then New York Nets four games to two. The Nuggets continued their success into the NBA however while the Nets struggled. The Nets lost their star player Julius Erving in the transition to the NBA which had them go from the best team in the ABA to one of the worst teams in the NBA. The Nuggets were able to win their division the first few seasons in the NBA. The Nuggets would go through a time of transition in the early years in the NBA. Their coach Larry Brown left the team, and he was replaced by Doug Moe. Moe brought the motion offense to the team, and this resulted in the most successful offense in NBA history. For the first half of the 80’s the Nuggets ran through opponents defenses. The Nuggets would have two players, Alex English and Kiki Vandeweghe, average over 25 points per game. The Nuggets would also go on to set the league record for most points averaged in a season at 126.5. They also went a stretch of 136 games in a row in which they scored more than 100 points. On top of that, they set the record for most points in a game when they beat the Detroit Pistons in a triple overtime thriller, 186-184 for a combined 370 points. The Nuggets were a constant playoff team in the 1980’s. They would see themselves in the Western Conference finals, but they could not get to the NBA Finals. The 1990’s would not have the same flair as the 80’s. Moe resigned as coach, and the team would not be the same. They continued to run up the score, but their defense was worse than their offense which resulted in high scoring losses. The Nuggets would only make it to the playoffs a twice in the 90’s. They did have a bright point in their history when in 1994 they became the first ever 8 seed to defeat a 1 seed when they beat the Seattle Supersonics three games to two. The Nuggets continued as one of the worst teams in the league and league history until the early 2000’s. Their fortune changed when they drafted Carmelo Anthony out of Syracuse with the third pick in the NBA draft. Carmelo made the Nuggets an instant playoff team. Carmelo would have won the Rookie of the Year award almost any other year, but he happened to enter the league the same year as LeBron James. Carmelo went on to lead the Nuggets to the playoffs season after season. The Nuggets tried to surround Carmelo with talent to make themselves not just a playoff team, but a title contender. After Carmelo had established himself as one of the elite scores in the league, the Nuggets traded for another elite scorer in Allen Iverson. Both were averaging over 30 points a game when Iverson was traded to the Nuggets. The two players would not mesh well, and despite their scoring ability, the Nuggets could not become the title contender they wished to be. After the Carmelo and Iverson experiment failed to produce more than a continued playoff team, the Nuggets traded Iverson for proven winner Chauncey Billups. With Billups and Anthony at the helm of the Nuggets, they began to become the team they hoped for. The Nuggets finished as the 2 seed in the West with the addition of Billups. They would make it past the first round of the playoffs for since the 80’s. They also made it to the Western Conference finals. They would fall two games short of beating the Lakers for a chance to make it to the Finals in 2009. The Nuggets would see their potential reach its peak during the 2009 season. The next season, the Nuggets had injuries to their three best players. The coach George Karl would have to undergo surgery for cancer. They still managed to make the playoffs and win 53 games, but they would regress to losing in the first round again. In 2011, the Nuggets traded their superstars Carmelo Anthony and Chauncey Billups to the New York Knicks for most of the Knicks starting line up. The Nuggets would not suffer much set back as they won 50 games yet again behind their team basketball. The team has no superstars currently, but they play team basketball in which various different players step up on different nights. This leaves the media and fans to wonder how well a team can do without a superstar. The Nuggets lost in the first round yet again last season, but they had a moral victory by winning once game against the Oklahoma City Thunder because the New York Knicks, whom they traded Carmelo and Billups to, did not win a game in the playoffs. The Nuggets have suffered numerous injuries this season, but they are still in contention to make the playoffs yet again.